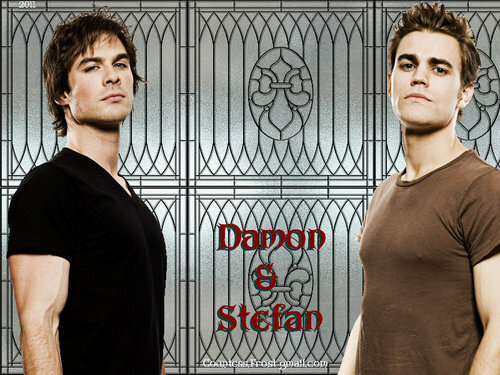 Damon & Stefan. 'Damon & Stefan' - a karatasi la kupamba ukuta created kwa TheCountess with the Salvatore brothers (Paul Wesley & Ian Somerhalder) from the tv series 'The Vampire Diaries' / jigsaw puzzle at. 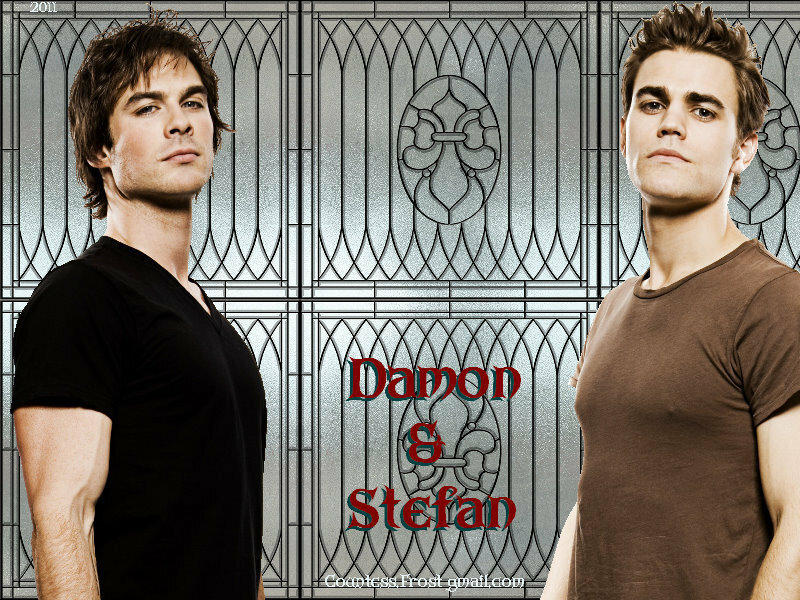 HD Wallpaper and background images in the Maonyesho ya Televisheni ya Vampire Diaries club tagged: the vampire diaries tv show damon salvatore ian somerhalder stefan salvatore paul wesley fan art wallpaper thecountess online jigsaw puzzle. This Maonyesho ya Televisheni ya Vampire Diaries wallpaper contains kubadilika kioo dirisha. There might also be kufanya kiini, holding cell, kufanya seli, taasisi ya adhabu, adhabu kituo, taasisi ya kuurekebisha, and kituo kuurekebisha. A-ha! I see you found another attempt of mine. I'm not sure how many people check - did you give the jigsaw puzzle a try too?